Let’s begin by briefly outlining what the Sharing Economy is – horizontal networks that facilitate the participation of a community. 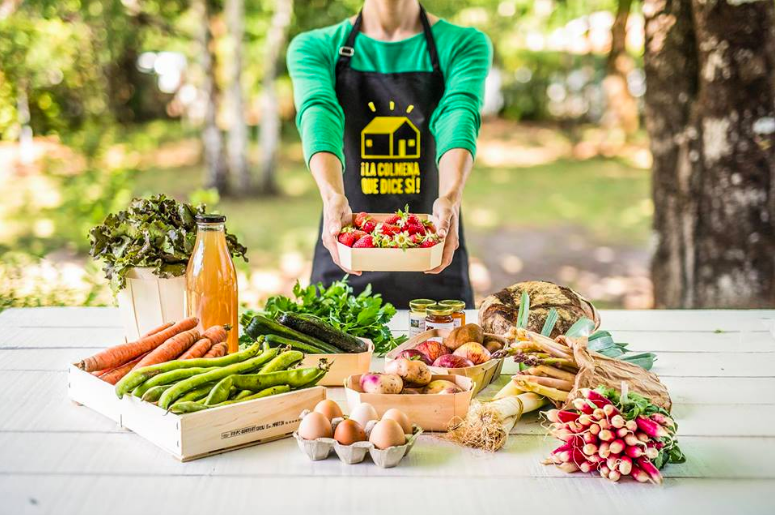 La Colmena is a proven sharing economy business model that facilitates the direct sale of quality, local produce between producers and consumer groups known as ‘Colmenas’. The brand embraces quality consumption, collaboration, transparency, trust… and delicious products. Camila Oliveira, Founder of RuralDev – a social enterprise that empowers micro and small non-profit organisations through collaboration – established La Colmena The Nest when she moved into the space in July 2017. Given the orientation of her enterprise, her decision to move to Valencia’s only social innovation space was in her and her business’ best interests. But by establishing a Colmena in The Nest, she has also introduced new value to the The Nest community – giving Nesties and the surrounding community the opportunity to connect with local producers. Camila has a strong professional and academic background in cooperation and development – specifically non-lucrative rural development in developing regions. Her journey to establish herself and her social enterprise has been a challenging one, but it has left her project with the support of Valencia’s strong startup ecosystem and has introduced her to La Colmena. We sat down to discuss the challenges of establishing a social enterprise, her discovery of La Colmena and the sharing economy. So, the beginning seems a logical place to start – What brought this Brazilian entrepreneur to Valencia in the first place? Camila came to Valencia in September 2010 to study a Master’s Degree in Development Aid. She had previously completed a master’s degree in Integrated Management Systems and had fifteen years working experience in monitoring evaluation, seven of which were directly related to organic products in Sao Paolo, Brazil. Upon completion of her second master’s degree at the University of Valencia, she was invited to continue her research in ‘Internal Management Systems in Non-Lucrative Rural Development Organisations’ as a PhD student – a largely unknown field in which only three research papers had been published at the time. Her time in Madrid was short-lived. Working for various non-lucrative organisations in project assessment and internal management systems in Madrid left her feeling unsatisfied, underpaid and over-qualified. So, she quit. She opened up the box she had earlier put aside. Her idea? To create a service for small non-profit organisations in developing countries, providing them with the knowledge and skills to facilitate independent development. Attending cooperation and development Meetups in Madrid, she discussed and developed her idea but realised the need to understand how to create a business in Spain. Returning to Valencia, working at a bakery and living on a shoestring, she attended an intensive course in entrepreneurship at the University of Valencia. Studying LEAN Startup & Design Thinking methodologies, she began to develop her business model. One thing became clear – she wanted her business to be lucrative – not an NGO, foundation or cooperative. Her idea of an effectual yet lucrative enterprise was validated when she discovered BCorps. B Corps are for-profit companies certified to meet rigorous standards of social and environmental performance, accountability, and transparency. Years of perseverance in her struggle to validate and establish her idea have finally paid off. Today, RuralDev is in its final stages of testing and market validation. The company will empower micro and small non-profit organisations with e-inclusion tools and internal management improvement, so they can manage and develop independently, fighting rural poverty more efficiently. While developing RuralDev in Las Naves – a collaborative space located near Valencia’s port – Camilla discovered Valencia’s vibrant startup ecosystem. Consequently, she heard of La Colmena and became very interested as it closely relates to her expertise and work in certifying organic products in Brazil. Camila’s first contact with La Colmena was at Wayco – a coworking space located in central Valencia. There she met Jose Vicente Pérez Rocasolano – Leader at WayColmena. Recognising the benefits of this sharing economy business, she went on to open La Colmena Las Naves, and has now opened another La Colmena The Nest! To recognise the impact and success of La Colmena, it is important that we understand the sharing economy. Sharing economy businesses provide peer-to-peer based activities for obtaining, giving or sharing access to good and services. Alternative names for the model include gig economy, platform economy, access economy, and collaborative consumption. The sharing economy is taking off in all sorts of niches, including ridesharing, apartment/home lending, peer-to-peer lending, reselling, coworking and talent-sharing. Familiar examples are companies such as CouchSurfing and BlaBlaCar, both of which leverage digital platforms that allow people to stay with locals and share car rides respectively. Such platforms have boomed in recent times, partly due to the rapid development of the digital infrastructure that supports them. Aligning itself with this growth, La Colmena’s strong international brand and marketplace system has been implemented in more than 900 areas throughout Europe, more than 100 of which are in Spain. The platform for La Colmena The Nest works like any other – Consumers register online and are connected with local producers. The group of users formed is referred to as a ‘Colmena’. Members of the Colmena order products from local producers using the platform, who then personally deliver orders to The Nest once a week for collection. Users are able to buy fresh, local, quality products – including artisan beers, local and organic wines, dips and spreads, and organic fruits and vegetables. The collaborative economy is based on horizontal networks and participation of a community. It is built on distributed power and trust within communities as opposed to centralized institutions, blurring the lines between producer and consumer. Its potential to create systematic change is real. La Colmena The Nest incorporates community participation to provide producers and users with a unique and meaningful experience. Both are given the opportunity to meet each other, forming a personal connection between buyer and seller that is unheard of nowadays. In doing so, transparency, cooperation and a horizontal network is created. La Colmena The Nest connects producers and consumers through its online platform. More broadly, La Colmena has an impact on local production and agriculture. Where supermarket chains often source products internationally and in bulk to minimise costs, La Colmena’s efforts to source products locally has unique impacts on local agriculture – supporting small farmers and promoting quality. Additionally, its weekly ordering system minimizes waste and ensures freshness. La Colmena exemplifies a sharing economy – encouraging sustainability, transparency, trust and cooperation. However, like any model, the sharing economy has its challenges. Without regulation, sharing economy platforms can lose values of collaboration, the horizontal relationship between producers and consumers, and users are disempowered or sometimes even exploited by the platform. Namely, payments for using the platform are incentivised or obligatory, and in some instances, those who do not pay receive a mediocre service and are left feeling isolated. Others go even further, outlining that the sharing economy has developed in response to the weak economic and labour environment. Consequently, workers unable to find work or needing supplemental income use these platforms to earn additional income from their labour and assets. Opponents argue that consequently, a virtual “human cloud” of “digital serfs” leads to a global race to the bottom for wages and benefits. Such platforms should not be considered sharing economies as quite simply, they are not ‘built on distributed power and trust within communities as opposed to centralised institutions’. The ‘sharing economy’ is a term frequently and incorrectly applied to ideas where there is an efficient model of matching supply with demand, but zero sharing and collaboration involved. The future prosperity of the sharing economy is being actively encouraged by various entities. 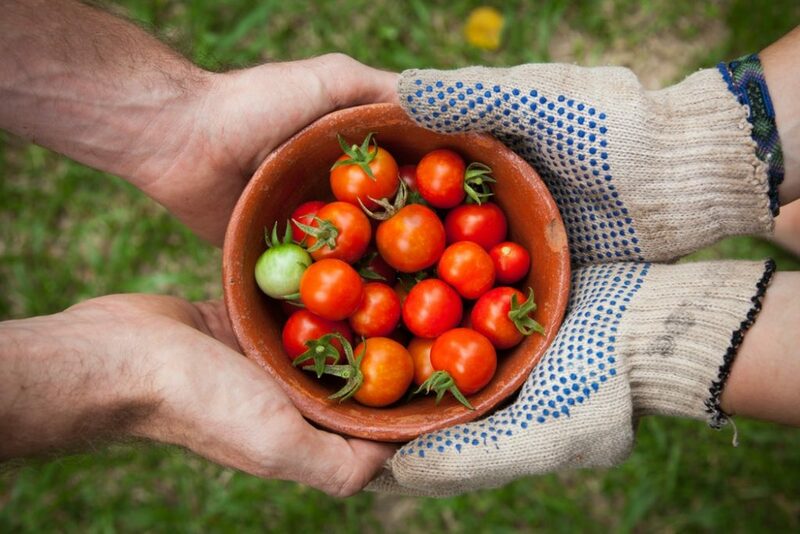 Organisations such as OuiShare strive to ensure the values of the sharing economy are not forgotten and that it continues to nurture a collaborative society by connecting people, organizations based on ideas of fairness, openness and trust. The sharing economy will inevitably become a major part of the global economy, and its potential to create beneficial change is real. The challenge now is to ensure its definition and values are not blurred… nor forgotten.